Yummmmmmm! 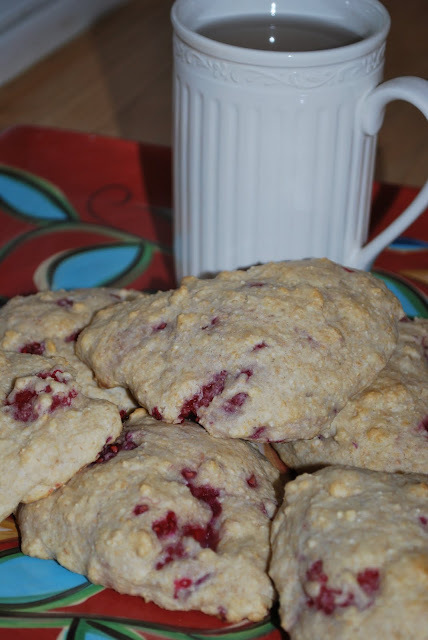 These Cracked Wheat and Raspberry Scones are definitely some whole grain goodness! I would highly recommend making a double batch of these, as this recipe only makes 8 or 9 scones and they were devoured at our house! 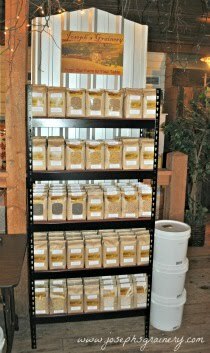 These are a fairly healthy whole grain treat that the whole family will enjoy. There isn't much sugar in them compared to many baked goods. These scones were wonderful with raspberries, but I'm really looking forward to trying this recipe again this summer when the blackberries are in season! Directions: Preheat the oven to 350 degrees. Mix together the dry ingredients. Cut the butter into the mixutre, until it has small lumps the size of peas. Add the liquid ingredients and mix no more than 20 strokes. Mix the berries into the dough. At this point you can either A) roll the dough and cut into wedges or B) if you're like us and are adverse to dirtying more dishes and surfaces, just form the wedges with your hands. Place onto a lightly greased cookie sheet and sprinkle with the 2 Tbsp of sugar. Bake for about 18 minutes.